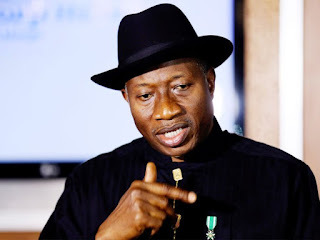 Former President Goodluck Jonathan has said the All Progressives Congress, APC, has failed in governance because the party came into power using the instrumentality of propaganda. Jonathan spoke when he received the National Chairman of the Peoples Democratic Party, PDP, Prince Uche Secondus who led members of the National Working Committee, NWC, on a courtesy visit to the Headquarters of the Jonathan Foundation in Yenogoa, the Bayelsa state capital and was contained in a statement by Secondus’ spokesperson, Ike Abonyi. The former President also commended the newly elected Prince Secondus led NWC for drawing back confidence in the party, pointing out that those who left will soon return. According to the statement, Jonathan expressed optimism that members who left the party would return. He said, “I believe that PDP will return to power in 2019 if we continue to build confidence especially as the ruling party has failed to meet up their promises and give hope to the people. Earlier, the PDP National Chairman, Prince Secondus had briefed the former President on the activities of the NWC since December when they were elected into office as he solicited for his support and that of other leaders of his status. Secondus said that the new leadership already engaged in a number of activities aimed at rebranding, and repositioning the party with a view to regaining power in 2019. The PDP boss said that the focus of the party is on youths and women, pointing out that the leadership will soon come up with a new program.